Cheng Man-ching was born in Chekiang province in China in 1901 and died at midnight on March 26th 1975 in Taiwan. In the intervening years, due to his genius and unstinting efforts, he became a Master of the Five Excellences: painting, calligraphy, poetry, traditional Chinese medicine and tai chi chuan. Professor Cheng was a traditionalist. He followed the Tao of Confucius, which emphasised the proper conduct of human relations, and how to live in the world. He also brought to his teaching of tai chi ideas from Mencius, the Analects, the I Ching, The Art of War, and the Tao Te Ching, along with later Chinese philosophers. Professor Cheng brought into his teaching of tai chi, his knowledge and study of classical Chinese thought and his accomplishments in medicine, painting, poetry and calligraphy. He brought to his writing a depth of classical learning hitherto not seen within tai chi circles. 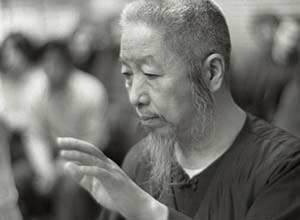 As one of the first high level masters to bring tai chi to the West, Professor Cheng helped tai chi reach new audiences. In China Professor Cheng’s achievements include, at different times: the role of Professor of Chinese Ink Painting at the Peking Academy of Fine Arts (1922); Director of Painting at the Shanghai School of Fine Arts (1925); with colleagues he formed and then became president of the National Chinese Medical Association. As a young man, Professor Cheng contracted tuberculosis. In an effort to regain his health he commenced six years of study (1928–1935) of tai chi chuan under Yang Chengfu, a member of the Yang family lineage of tai chi. In 1933 Professor Cheng taught tai chi at the Central Military Academy, and later for the provincial government in Hunan (where he was Director of Martial Arts in 1938), and for the Central Military Training Group in Sichuan. In order to facilitate the learning of tai chi, and contribute to the improvement of the nation’s health, in 1938 Professor Cheng reduced the length of the tai chi form from over a hundred moves down to 37. Professor married in 1941. When the Chinese mainland fell to the Communists, the Nationalist Government relocated to Taiwan under Chiang Kai-shek. Cheng Man-ching and his family relocated to Taiwan in 1949. Professor Cheng set up poetry and painting circles (he was painting teacher to Madame Chiang Kai-shek), as well as teaching tai chi, and setting up the Shr Jung School of tai chi chuan. In 1964 Professor Cheng moved with his family to New York, and established the Shr Jung Centre for Culture and the Arts in Chinatown. Here he taught tai chi, saw patients and gave lectures. Professor taught non-Chinese as well as Chinese students. His school attracted a diverse mixture of students including Chinese businessmen and restaurant workers, serious American martial artists, and hippies and members of the counter-culture.